Men at Work are an ARIA Music Award winning and Grammy winning rock band that formed in Melbourne, Australia in 1979. 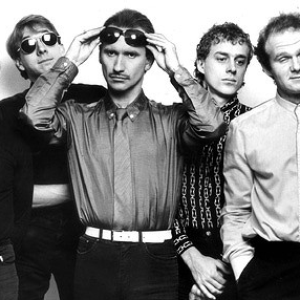 Considered a popular part of the new wave movement in Australia, the band's best known line-up consisted of Colin Hay (vocals, guitar), Ron Strykert (guitar, vocals), John Rees (bass), Greg Ham (saxophone, flute, keyboards), and Jerry Speiser (drums). They are best known their worldwide hit singles "Who Can It Be Now? ", "Down Under", and "Overkill".